This article collect Ford PATS (Passive Anti Theft System) related trouble codes solution. B1213:Less than 2 (or 3 if equipped w/Valet key) keys programmed to the system. B1232/B2103:Transceiver internal antenna damaged. Replace transceiver. B1342:ECU is defective (EEPROM in PCM is not working- replace PCM). PATS related when stored in PCM only. B1600:Non-PATS key or damaged key. B1601:Unprogrammed encoded ignition key detected (leave ignition on for 20 seconds before trying a programmed key, in Anti-Scan Mode). B1602:Partial detection of encoded ignition key. B2141:Non-Volatile Memory (NVM) configuration failure – No PCM ID stored in PATS. B2139:PCM ID does not match between the PCM and PATS control (PATS/ICM/VIC/HEC/SCIL). U1147/U1262:Communications issue, SCP (J1850), between PCM and PATS control (PATS/ICM/VIC/HES/SCIL). P1260:PCM disabled the vehicle because of a PATS concern. Retrieve DTC’S from applicable PATS control function (PATS/ICM/VIC/HES/SCIL). Engine stalls on road: Once the engine runs for one second, PATS CANNOT disable the engine. Running stalls are not PATS issues. Alarm goes off: PATS is completely separate from the perimeter alarm system (if installed). PATS will not cause the alarm to go off. Remote Entry/Keyless Entry problems: PATS is completely separate from the Remote Entry/Keyless Entry systems. There is a no-crank problem on vehicles without PATS starter disable. Check Table 1, for presence of Starter Interrupt. PATS Theft Indicator stays on for 2 or 3 seconds (depending on system type) at Ignition RUN or START and then off. This is normal operation for PATS prove out. Erasing and reprogramming ignition keys does not cure any known intermittent PATS no-start issues. Do not reprogram keys if a fault cannot be identified. Always verify that there are no aftermarket devices causing interference, such as alarms, remote starters or other devices utilizing transponders. Devices that power up the PCM without powering up the PATS Control module can experience no-start concerns. Items such as foil stickers, brass key tags, other PATS keys, and other transponders used to purchase gasoline or other metallic objects can cause interference with the PATS key. Make sure you have all of the customer’s keys when doing reprogramming, PATS Control module replacing, or diagnosis. 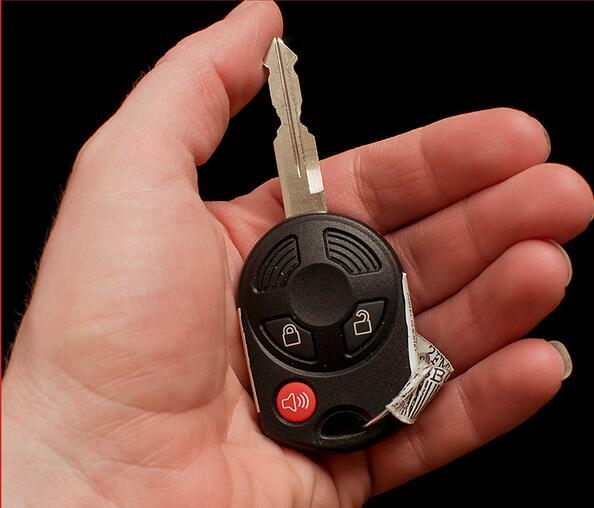 When replacing ignition keys, make sure the customer throws out all old keys or programs them as spare keys. Reprogramming the PCM does not have any impact on PATS operation. If the engine does not crank on vehicles that have PATS providing a ground to the starter relay, verify the PATS output to the starter relay. If the PCM has a P1260, look for additional codes in the PATS control module. Systems B, C and E have an anti-scan function. If you attempt to start the vehicle with an unprogrammed key, the theft indicator will flash rapidly and the vehicle will not start. Leave the key in the RUN position for 30 seconds for the anti-scan feature to time out. The vehicle will fail to start during this 30-second time period even if a correctly programmed key is used. Some aftermarket audio equipment have been found to keep the run/start circuit active for over 5 seconds past ignition off. This can prevent pats from properly reading ignition keys during key programming. Remove or disable this aftermarket equipment if problems with any key programming sequence occur.